Kurta Pajama is made of Pure Cotton Cloth. 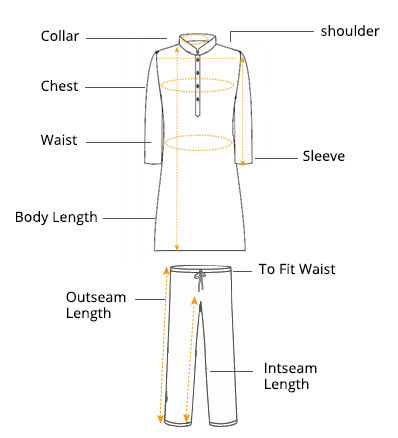 Kurta Pajama is made on order and it takes 7 working days for dispatch. This is customised product and will be made as per the measurements given by the customer. We have wide range of Kurta Pajama designs and colours and customer can select as per the choice.